A freak-out group for the 21st century was founded in 1995 by members of the Acid Mothers Temple soul-collective and led by Kawabata Makoto. The group released their self-titled debut album on PSF Records (Japan) in November. The album was selected as one of the 50 best albums of the year by the British music magazine, The Wire. 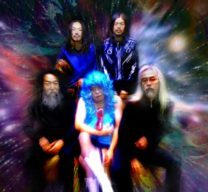 In January, the Acid Mothers Temple family record-label was set up, in order to document the various activities of the collective. In June, the band played their first live gig in San Francisco, as part of a tour of America and Europe. In the UK, they headlined a bill which include The Pastels and Richard Youngs at the Psychedelic Trip Festival at the Glasgow School of Art. In Berlin, they collaborated with the NASA computer graphics animation team. In August, the group played their first Japanese gig in Tokyo. In November, they toured Japan; Tsuyama Atsushi (Omoide Hatoba) took part in this tour as a guitarist. In March, their second album “Pataphysical Freak Out MU! !” was released by PSF. Includes guest appearances by HACO (ex. After Dinner, HOAHIO), Tsuyama Atsushi. From April to June, the group toured America and Europe. During this tour, Tsuyama Atsushi joined the group on bass. This completed the current live line-up for the group. On this tour, they headlined the Deep Heaven Festival in Boston, but due to a large amount of law enforcement, the festival was forcibly closed down. The group headlined at the first day of the Fete de l’Humanite in Toulouse, France. In September, the group toured the Western Japan. In November the group released their soundtrack to the Russian underground film “Wild Gals a Go-GO” on the Acid Mothers Temple label. “Live in Occident,” a double album, was recorded to document the 1999 tour of the US and Europe. It was released by the Detector label(USA). 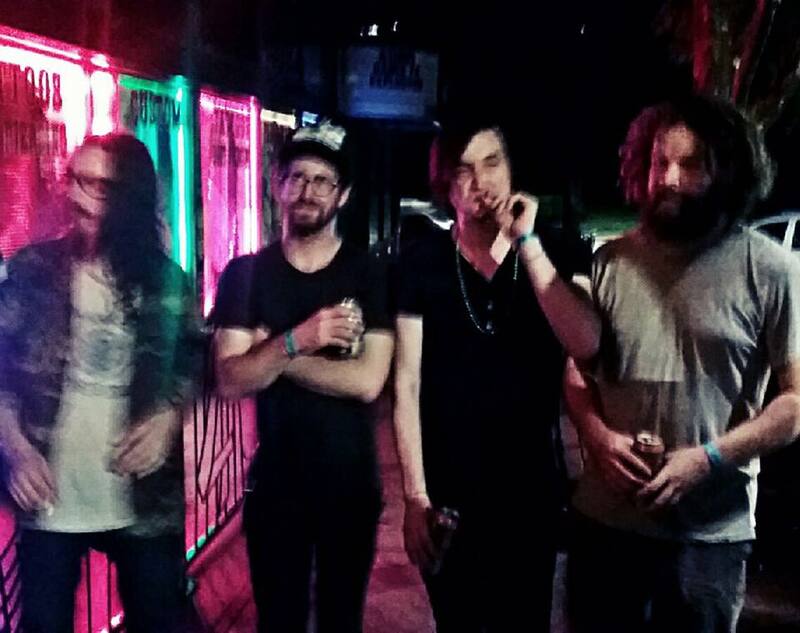 On April, the group played their first gig in seven months, headlining at the Psychedelic Festival in Osaka. The line-up was the same as last year’s touring unit. 12” LP of covers of Occitan traditional song “La Nevia” was released from Eclipse (US) on October, and the group’s official third album “Troubadours From Another Heavenly World” was also released from PSF (Japan) in October. From November to December the group toured America and Europe (UK, Belgium, Norway, Germany, and France). A double LP, “Absolutely Freak Out (Zap Your Mind! ),” was released by Static Caravan-Rsonant (UK). The 4th official album, “New Geocentric World of Acid Mothers Temple,” was released on the Squealer Music (USA). In March, the group played with Stockhausen & Walkman in Nagoya. This was the first gig to feature Ichiraku Yoshimitsu (Otomo Yoshihide’s ISO), as well as the groups the first live appearance in Japan in over a year. The “Master of the Universe” commemorative tour double-EP was released on the UK label, Static Caravan-Resonant. “La NÃŠvia” was reissued on CD by Swordfish Records. The “Grateful Head” US tour EP was released on the US label, Wabana. In May, the Acid Mothers Temple toured the UK and Ireland. The tour was a massive success with all dates sold out. The group closed out the second and final day of the Le Weekend Festival For Inventive Music & Sound with a two and a half hour set. The UK tour EP, “My Guitar Wants To Kiss Your Mama” was released on the Static Caravan-Resonance. In September, the group embarked on a US tour. Due to the September 11th terrorist attacks, their headlining spot at the CMJ Music Marathon was canceled; the venue, the Knitting Factory, was closed. Kawabata also managed to smash his guitar into pieces, but the tour still ended successfully. In October, the group toured the UK and Ireland. The group garnered attention in Mojo and other magazines. Another highlight was a slot at the Royal Festival Hall, playing with Gong and The Orb. Eclipse Records (USA) released an LP of the AMT cover of the Terry Riley’s track “In C”. In December, the group took a tour of Western Japan. The first date in Nagoya and the final date in Osaka featured the twin drum attack of Ichiraku Yoshimitsu and Koizumi Hajime. The picture 12” LP “41st Century Splendid Man” was released on tUMULt (USA). The 2nd album, “Pataphysical Freak Out MU!” was reissued as a double LP on Eclipse Records (USA). The 5th album, “Absolutely Freak Out (Zap Your Mind! )” was reissued, this time as a double CD with the addition of a 45 minute bonus track. The live album “Born To Be Wild in The USA 2000” was released on Wababa (USA). Squealer Music (USA) reissued the AMT cover of the Terry Riley’s track “In C” as a 12”LP. In March and April, the group toured the US and UK/Ireland. The group appeared at South by Southwest Festival in Austin, TX and they were selected as one of the best three groups at the festival. They also performed an improvised soundtrack to the film “Urotsukidoji: Legend of the Overfiend” at London’s Queen Elizabeth Hall. Squealer Music (USA) reissued “New Geocentric World of Acid Mothers Temple” as a double LP. The group released 4 new albums and 2 EPs from September to November. Alien8 Recording (Canada) released the 7th album, “Electric Heavyland.” The Acid Mothers Temple label released the live album “Live in Japan.”Fractal Records (France) released the 6th album, “Univers Zen ou de Zuro Ãµ ZÃ»ro” and the “Electric Love Machine” EP. The group released “St. Captain Freak Out & The Magic Bamboo Request” on Ektro Records (Finland). This album was an AMT-style trip opera based around the adventures of a character called St. Captain Freak Out. The Scandinavian tour EP, “The Tombstone Phantom Drifter” was released on Verdura (Finland). In October, the group toured the US and Canada. The group perform as the headlining act on the final day of the Terrastock5 festival in Boston. From October to December, the group toured Sandinavia and Europe (Norway, Finland, Estonia, Switzerland, Croatia, Italy, and France). The group performed as the headlining act of the Estonian rock festival Operation B in Tallinn. They performed a collaborative concert with the Occitan trad singer Rosina de Paira in Toulouse. In December, the group played their first gig in their home Nagoya as the final date of the tour; this was also the first live appearance in Japan in over a year. Kawabata Makoto and Cotton Casino joined Daevid Allen’s Gong. Important Records (USA) released 3 titles of 3”CD-singles “Magical Power From Mars series” between January and March, also the label reissued a 1CD of “Magical Power From Mars”. Fractal Records (France) reissued the 6th album, “Univers Zen ou de ZÃ™ro Ãµ ZÃ™ro” as a 4LP set with one bonus disc of unreleased live-recordings. Funfundvierzig (Germany) released a split CD entitled “A Thousand Shades Of Gray” with Escapade. Sub Pop (USA) released a split album with Kinski. ACID MOTHERS TEMPLE mode HHH (Kawabata Makoto, Tsuyama Atsushi and Yoshida Tatsuya of Ruins) toured Europe (Norway, Sweden, Poland, Austria, Germany, UK, Netherland, Belgium, France, Spain, Switzerland, Greece, Italy) as part of Japanese New Music Festival tour in October and November. They performed an improvised soundtrack to the Ira Cohen’s film “The Invasion of Thunderbolt Pagoda” at Kill Your Timid Nortion festival in Dandee Scotland. Also they performed at Newton Festival di Musiche Contemporanee in Latina Italy. ACID MOTHERS GONG (Acid Mothers Temple + Gong) performed at the Royal Festival Hall in London UK with Damo Suzuki and Incledible String Band in October.